Only Personal Finds Being Sold - NO Reselling Scuba diving for megalodon shark teeth is my job, I love looking for and finding teeth in dark water rivers across the southeast US. I offset some of my diving and driving expenses by offering some of my megalodon teeth for sale. I invite you to look around the site, I have information on how I find teeth as well as pictures and videos of them being recovered. I have personally recovered all fossils sold at DarkWaterMegs.com and guarantee their authenticity. No reproductions, crafted teeth, etc. All teeth sold at DarkWaterMegs are fossilized and millions of years old. Own a tooth used by the greatest predator the world has ever seen. Don't settle for a tooth that has been resold three times, broken, and repaired. Buy your megalodon tooth directly from the diver that found it. 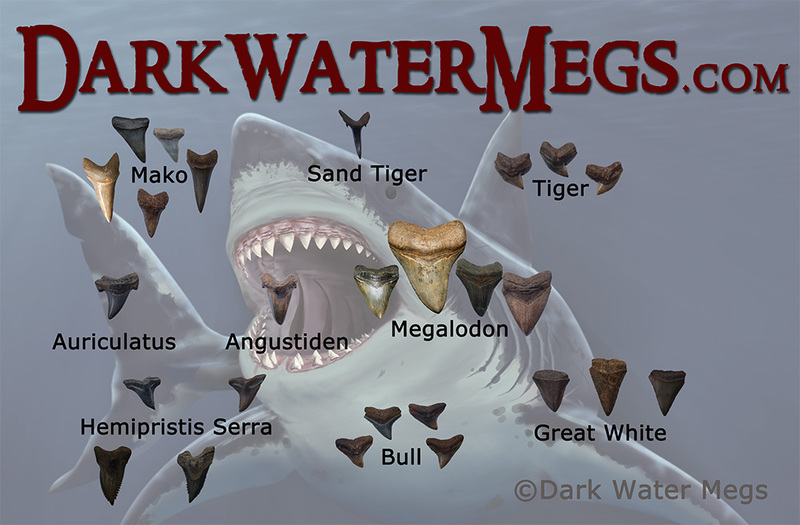 Welcome to DarkWaterMegs.com, here you will find information on Megalodon teeth and other fossils recovered were fossilized shark teeth are present. There are pictures of shark teeth and other fossils both in their cleaned state and while being discovered. You will see Megalodon teeth recovered in the ocean and in rivers primarily as this is where I choose to hunt for teeth. These fossil shark teeth can be found all over the world but this site will focus on ones found by me, primarily in the Southeast United States including Florida, Georgia, South Carolina, and North Carolina. 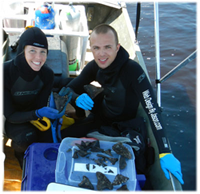 I do not consider myself an expert on shark teeth, fossils, or scuba diving; however I have had some success finding fossilized shark teeth while scuba diving in the Southeast. 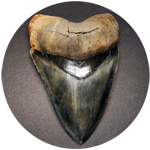 I built this site as a way to help share some of those experiences, share some of my knowledge with those interested, and from time to time sell some of the Megalodon teeth and other fossils I have found. I made the decision to sell some of my Megalodon teeth and other fossils, not as a way to earn a living but in order to offset the cost of hunting for them in order to be able to do more trips, and because I enjoy sharing my fascination with these remnants of the greatest predator to live on earth, the megalodon shark. 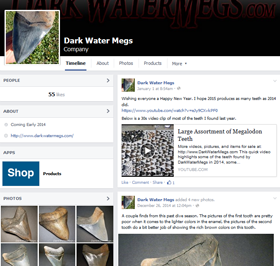 I keep the Dark Water Megs Facebook page updated on a regular basis. 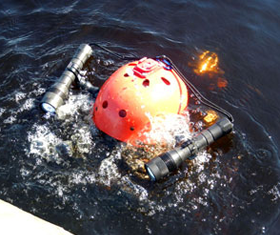 Facebook is a great way to ask questions or weigh in on our latest finds. Ever wonder just how dark it is in the rivers where megalodon teeth are found? Check my recent article where I address some commonly asked questions about visibility and dark water scuba diving for fossil sharks teeth. 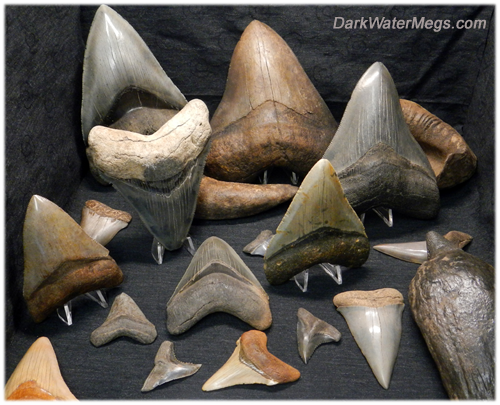 Dark Water Megs has megalodon teeth for sale as well as other fossilized shark teeth for sale. 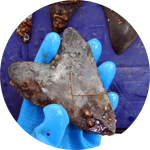 All fossilized shark teeth for sale on the site were found by me personally.